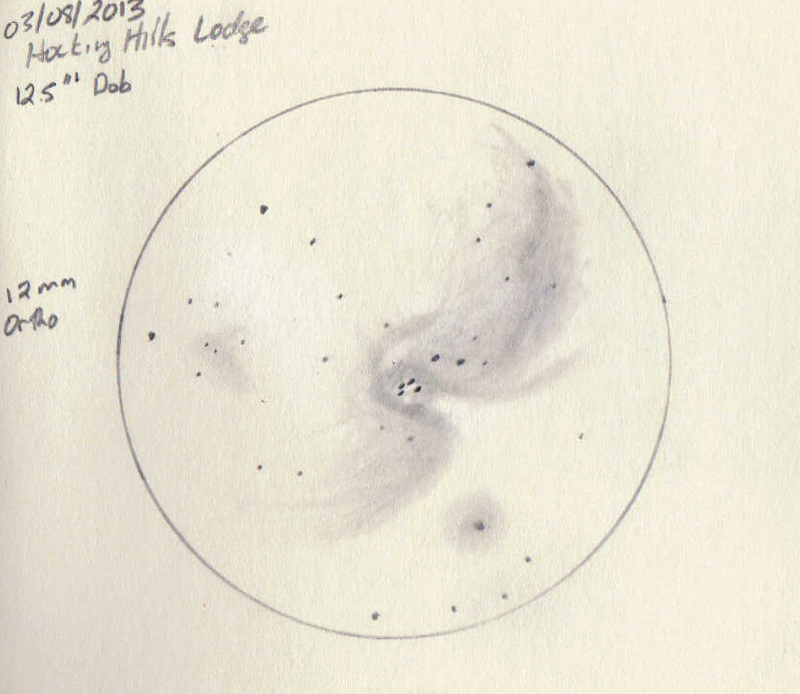 After reading some great suggestions in the CloudyNights Sketching forum I decided to pick up a Moleskine Sketchbook and some nice pencils and try my hand at the Orion Nebula. So this past winter, I jumped in. I confess, it is an intimidating object for me as it can be somewhat complex. And I like sketching with the Moleskine sketchbook. I find I have better control with my pencils that way. However, since I make many mistakes, when you erase a little too much, the yellow color becomes more white and it can be noticeable in my sketches. ~ by jhissong on 2013/08/07.